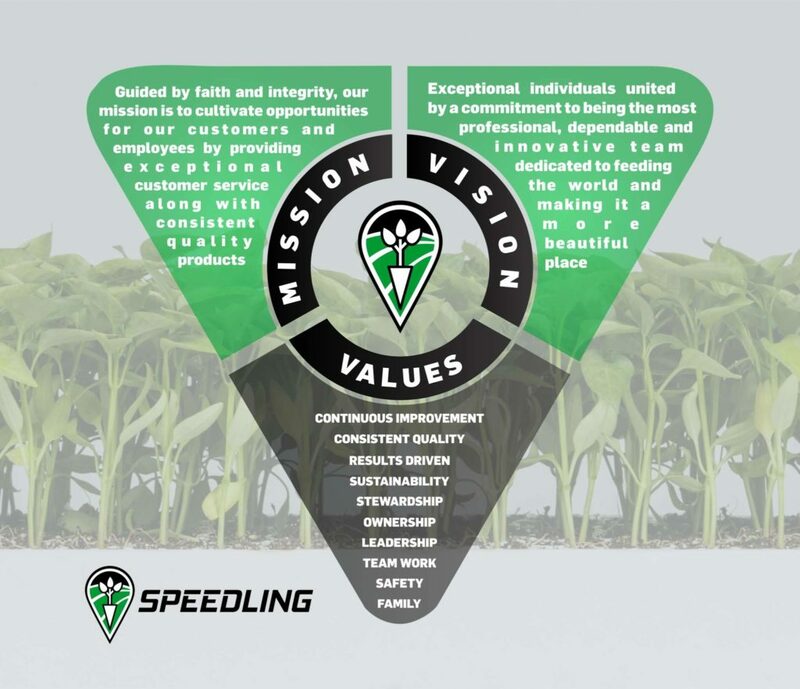 At Speedling we are motivated by our customers’ success. We understand the vegetables in our greenhouses are the same veggies at home on our table. We take pride in knowing the flowers we grow will be seen in stores across the country. We understand our EPS facility’s hard work gives local fish farmers the containers they need to ship their products across the country and expand their business. Over 50 years of experience as an industry leader gives us the knowledge and ability to provide for our customers’ ever growing needs. Speedling’s inverted pyramid technology changed the way the world grows transplants; the cell design allows for us to produce high-quality transplants for seeded vegetables, ornamentals, and vegetative propagated products. Every day we look to improve, innovate and achieve our goal of providing quality products at the best possible price for our customers. The agricultural industry is unique in its camaraderie, the desire to see success across the industry – we want to be a part of your success. At Speedling, we are here to help you grow. Guided by faith and integrity, our mission is to cultivate opportunities for our customers and employees by providing exceptional customer service along with consistent quality products. Exceptional individuals united by a commitment to being the most professional, dependable and innovative team dedicated to feeding the world and making it a more beautiful place.